Jeep CJ YJ XJ 106 Amps Alternator. 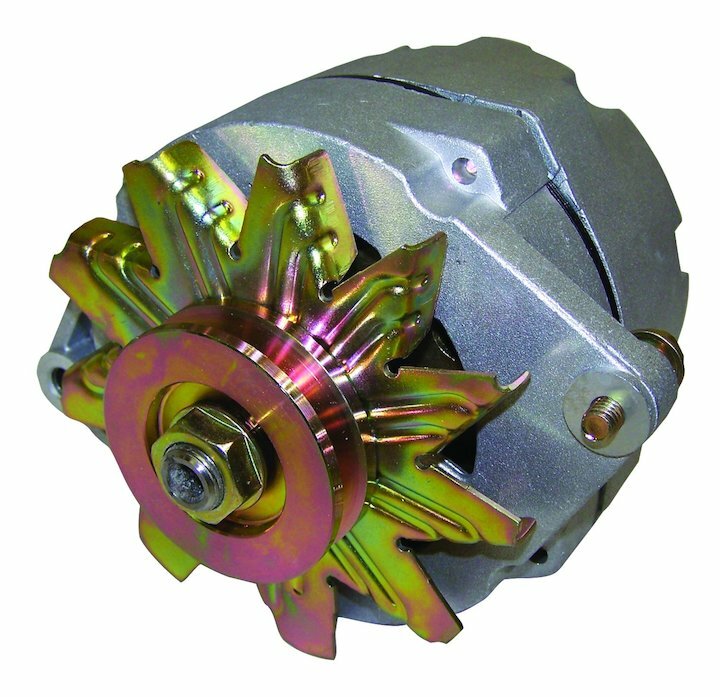 Direct replacement part guaranteed to meet or exceed OEM part specification. High quality part backed by 1-year manufacturer warranty. Jeep Wrangler (YJ) (1987-1990); all engines; 106 Amps Replaces: 56,63,66,70,78,85 amp. Jeep Cherokee (XJ) (1984-1986) w/ 2.5L or 2.8L GM; 106 Amps Replaces: 56,66,78 amp.